It seems the left – instead of digesting its huge loss, withdrawing into itself, engaging in some introspection and asking itself why, in election after election, it wins in the pre-election polls but loses at the ballot box – has chosen the easy way out: outflanking the prime minister from the inside and embracing him so he will commit to the center-left’s positions. 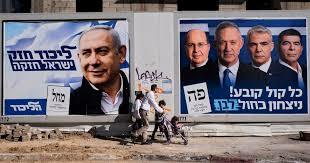 Throughout the campaign, Netanyahu promised that if he won, he would set up a government of the right and the ultra-Orthodox and keep faith with his natural partners. The heads of the ultra-Orthodox parties also declared from every possible platform that they’re unswervingly committed to a Netanyahu-led government. For three months, the ultra-Orthodox politicians worked tirelessly under the public’s and the media’s radar. While everyone else was busy with the submarines and Netanyahu’s catered meals, or with an Iranian hack of Benny Gantz’s cellphone, Arye Dery, Moshe Gafni and Yaakov Litzman were crisscrossing the country and amassing votes.Now, it’s payback time. The heads of the ultra-Orthodox parties will seek to reap the rewards and provide a long list of achievements for their voters, including a revised conscription law, requiring conversions to be performed according to Jewish law, preventing public transportation on Shabbat, and providing public housing and welfare allowances for families with many children.There’s no reason why Netanyahu, who knows who his loyal supporters are and even said so in every interview, should betray the trust they gave him and instead form a governing coalition with Gantz and Yair Lapid. How could Netanyahu sit in a government with people whom he described, until a week ago, as “insane” and “unqualified”? And how could Gantz – contrary to all his campaign promises – sit with someone who is facing serious indictments?